Downloadable mobile app doesn't offer a full range of games Royal Vegas Casino, established in 2000, owned and operated by Digimedia Limited Casinos, is a part of the Fortune Lounge Group. They are licensed by the Malta Gaming Authority, one of the most reputable regulators in the industry. Powered by the Microgaming Viper software, Royal Vegas offers their players a pleasant gaming experience and great game selection. They represent a great choice for Canadian players, as they support some of the preferred Canadian banking options like Neteller and Instdebit. There is also a toll free support number for Canada, which is always a nice touch and something we appreciate as it shows dedication to players. The Microgaming’s Viper software is one of the best casino software solutions on the market, so Royal Vegas certainly does not disappoint in this regard. 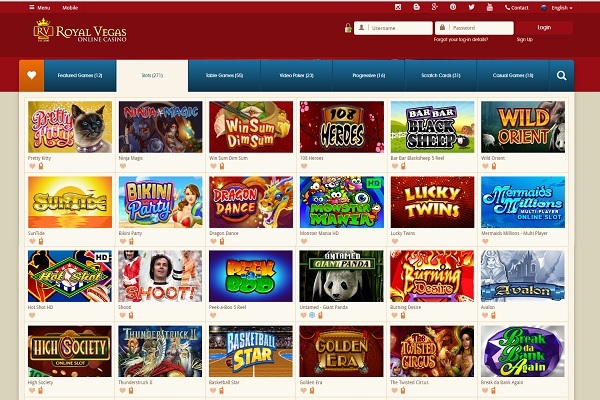 Players can opt to either download the casino to their computers or play directly from the website, using the instant play option. The casino can also be accessed easily via all types of mobile devices. The most popular slot games found at Royal Vegas are, again, famous Microgaming progressive slots like Treasure Nile, Mega Moolah and Mega Moolah Isis, Major Millions (3 & 5 reels), etc. Like at all our recommended Canadian casinos, Royal Vegas games are constantly checked for fairness by the independent eCogra auditor. The seal of approval from eCogra is the guarantee that Return To Player provided by the casino is fair and in line with rules and regulations, so you can rest assured there is nothing shady going on behind the scenes. New players at Royal Vegas are treated to a hefty welcome package worth up to C$1,200. The package is split into three parts, spread across first four deposits. All said and done, this is a nice bonus that can really boost your bankroll. Additionally, you can also receive more free spins (up to 200 in total), if you make bigger deposits. Of course, all bonuses come with certain rules that players need to adhere to in order to be able to cash out their profits. Wagering requirements are always worth some consideration. As you can see, Royal Vegas places 50x playthrough on their welcome bonus package, which may not be the best there is (888 Casino offers better terms), but it is better than, say Jackpot City. Overall, 50x on the bonus amount only is not unreasonable, even if we, as players, would always want it to be as low as possible. 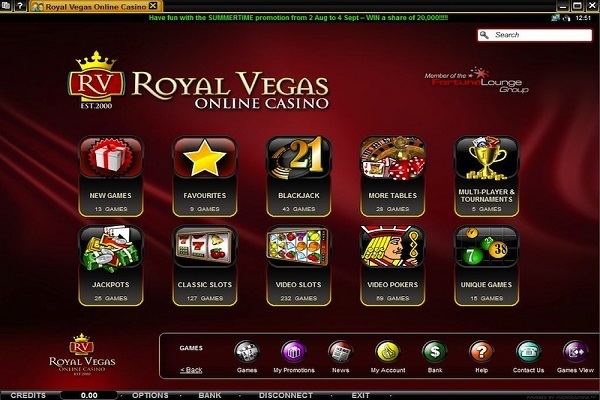 Like many casinos these days, Royal Vegas offers its players an opportunity to access the full offer using their mobile devices via the instant play option. Although instant play casino is not as rich in terms of game selection when compared to the downloadable software, you will still find a rather impressive number of games. On the other hand, those that prefer an app on their mobile phone can download one, providing for a quick and easy access to a reduced number of titles. Royal Vegas mobile app is definitely not as impressive as their full offer, but you will still be able to play all big progressive slots as well as some other slots and table games. Royal Vegas features a range of weekly and monthly promotions which change quite regularly. However, while the form may be different, the essence remains the same. Players are treated to special bonuses, entries to slots tournaments, and cashback offers. The VIP Club is invite only, but if you do get in you can expect numerous additional perks. Aside from special, really generous bonuses and free spins offers, VIP players will also receive invitations to exclusive casino events like luxury cruises. As mentioned in the introduction, the casino maintains a strong and helpful customer support team. Royal Vegas makes sure that players have a variety of options at their disposal for funding their casino accounts and withdrawing profits. Some of the methods on offer include Visa, MasterCard, Maestro, direct bank transfers, checks, as well as e-wallets. Canada’s favourite Interac Online is available as well as well as iDebit. Although the casino does not advertise any fixed fees on withdrawals, they clearly state they reserve the right to enact fees on certain withdrawals, if required. As for the withdrawal times, Royal Vegas does a good job in not making you wait forever. Once your account is full confirmed, you can request a withdrawal any time you like. It will then move to processing, which usually lasts between 24 and 48 hours, with 24 hours being the minimum. Once the processing completes, the money will be sent over to you the same day. Although Royal Vegas is “just another Microgaming casino,” they certainly went out of their way to provide their players with some special perks. 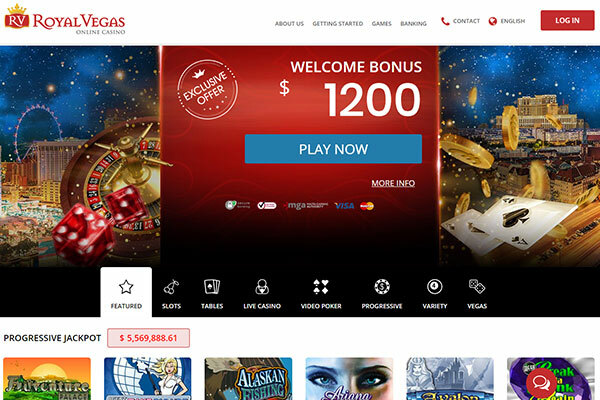 The welcome package is especially appealing, as you get to receive up to C$1,200 in bonus money, with relatively reasonable wagering requirements. With these general features and the fact they put a special emphasis on players from Canada, providing dedicated Canadian support and offering Canada-friendly banking methods, Royal Vegas deserves our full recommendation and endorsement as one of Canada’s best online casinos. Join the fun with Royal Vegas and rest assured your money is in good hands and your winnings will be paid in full and in a timely manner.